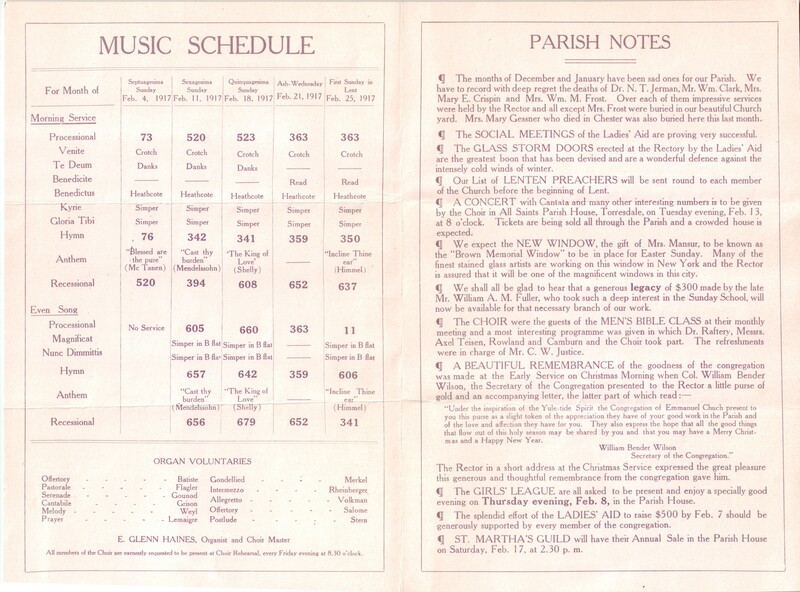 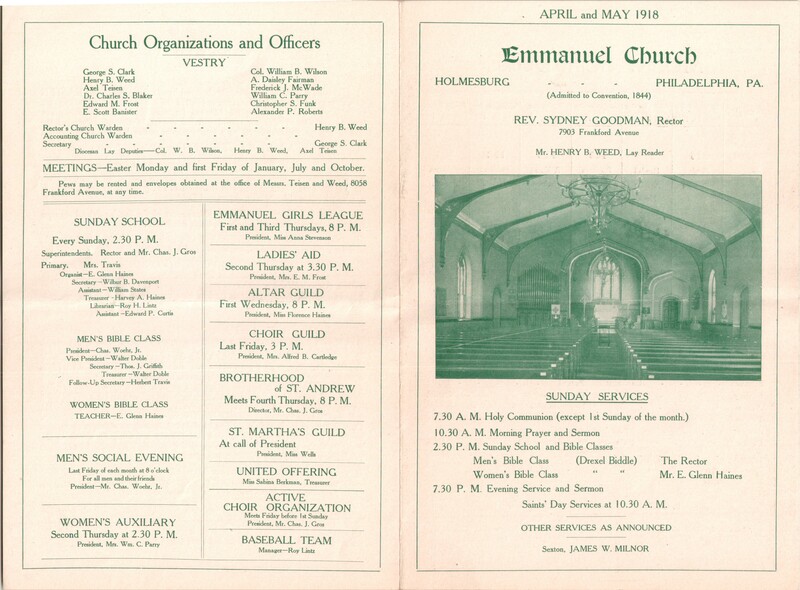 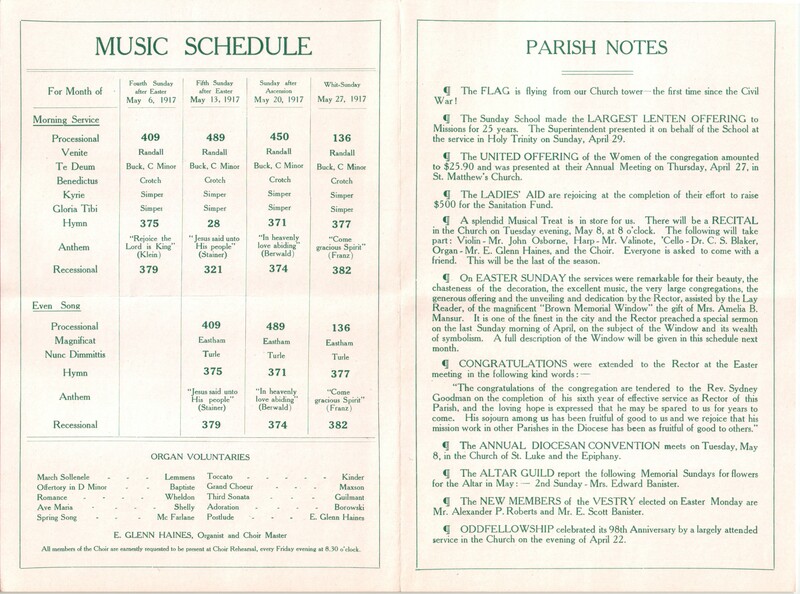 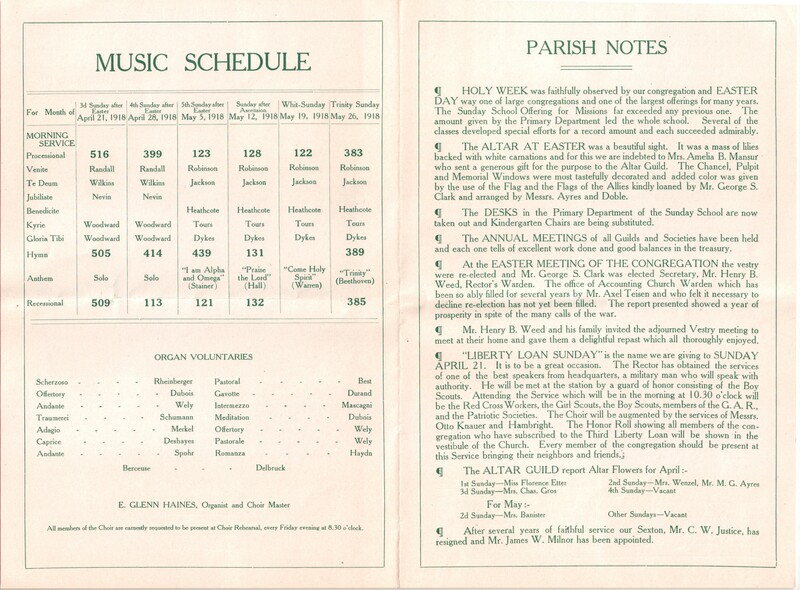 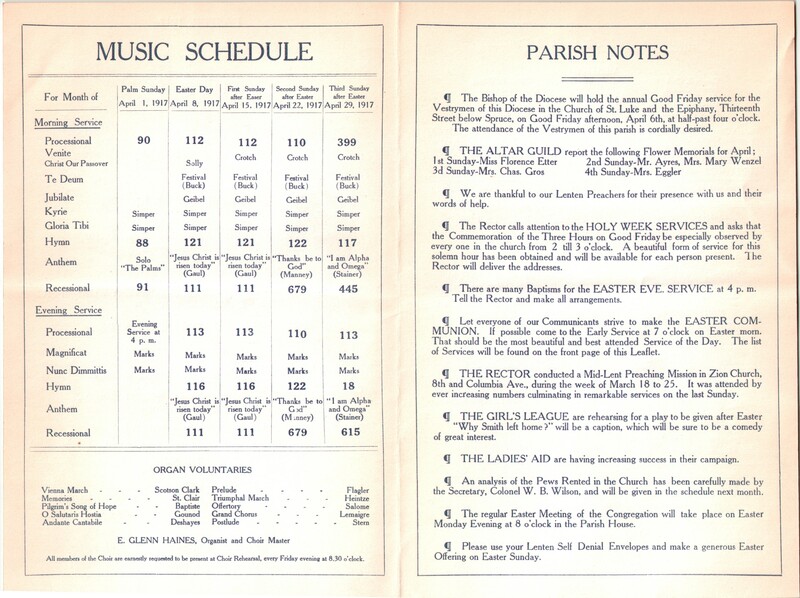 This entry was posted in Emmanuel Church (Holmesburg) and tagged Archives of the Diocese of Pennsylvania, Holmesburg, Northeast Philadelphia, Sydney Goodman on April 12, 2019 by mjk38. 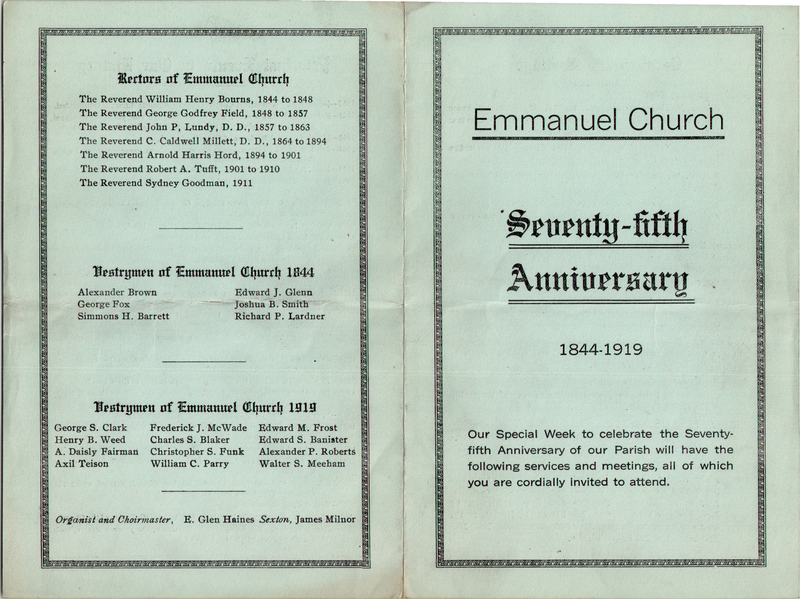 This entry was posted in Emmanuel Church (Holmesburg) and tagged Holmesburg, Northeast Philadelphia, Sydney Goodman on January 25, 2019 by mjk38. 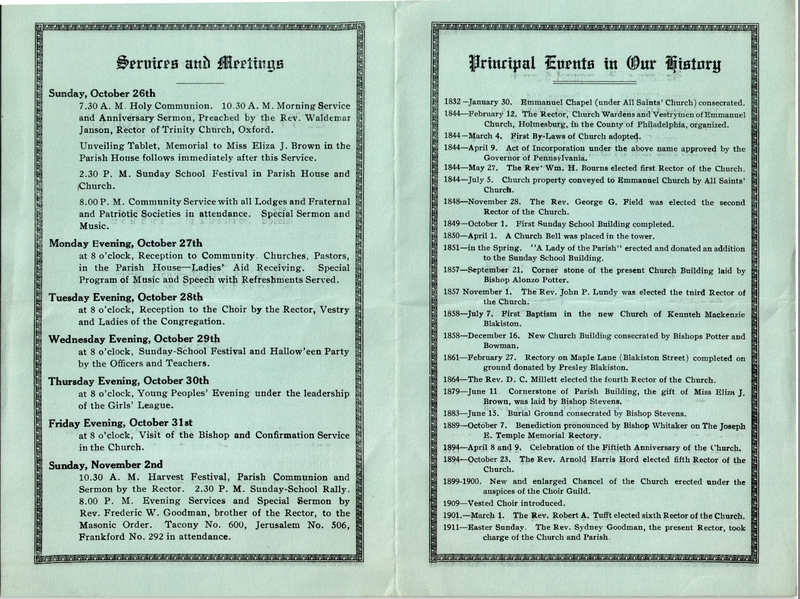 This entry was posted in Church of St. John the Baptist (Germantown), St. Luke's Church (Germantown) and tagged Northwest Philadelphia, Philadelphia Inquirer, Sydney Goodman, Wallace E. Conkling on June 13, 2018 by mjk38. 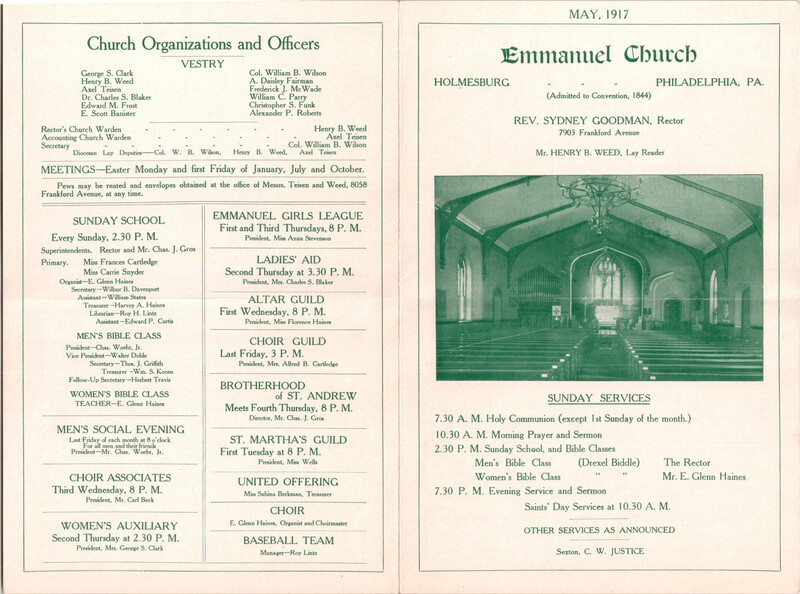 This entry was posted in Emmanuel Church (Holmesburg) and tagged Archives of the Diocese of Pennsylvania, Holmesburg, Northeast Philadelphia, Sydney Goodman on May 10, 2018 by mjk38. 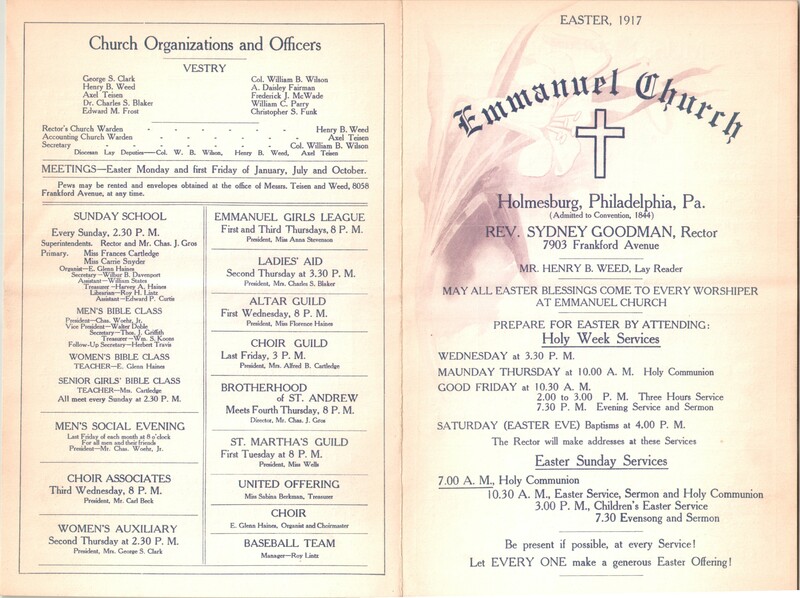 This entry was posted in Emmanuel Church (Holmesburg) and tagged Archives of the Diocese of Pennsylvania, Holmesburg, Northeast Philadelphia, Sydney Goodman on April 3, 2018 by mjk38. 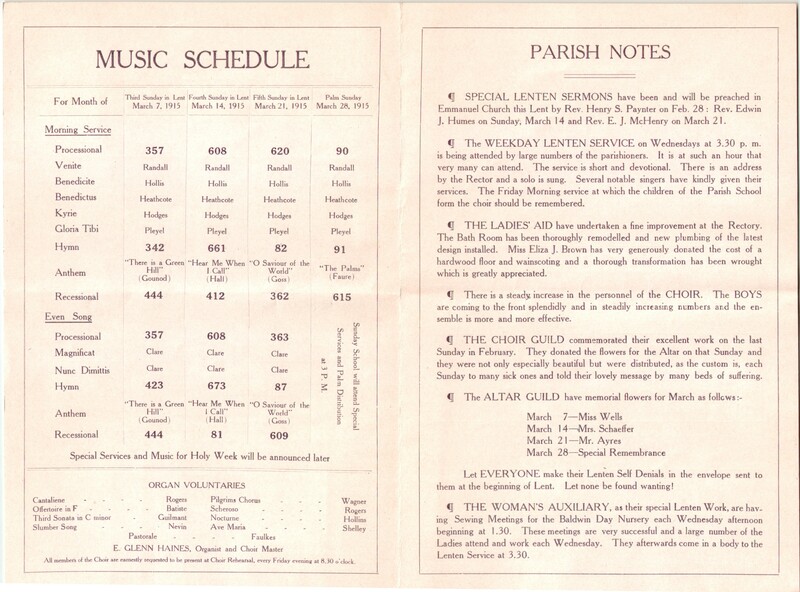 This entry was posted in Emmanuel Church (Holmesburg) and tagged Archives of the Diocese of Pennsylvania, Holmesburg, Northeast Philadelphia, Sydney Goodman on February 2, 2018 by mjk38. 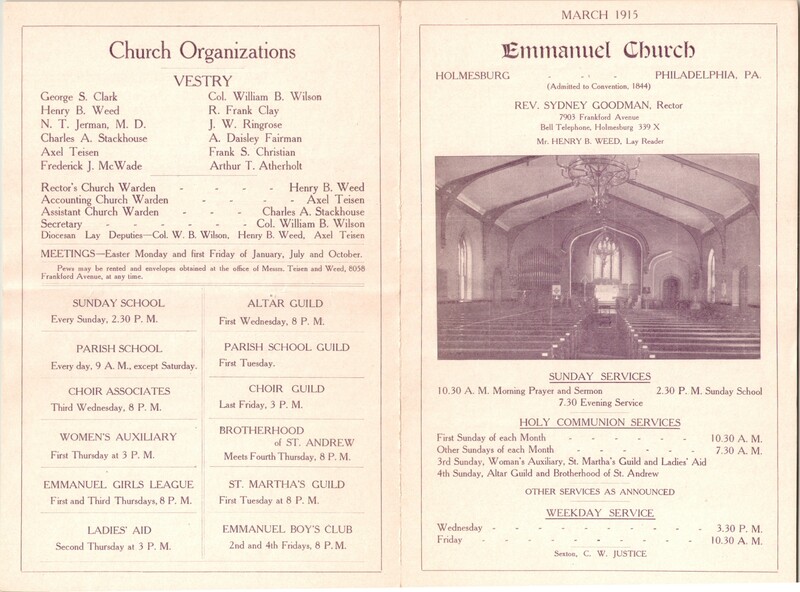 This entry was posted in Emmanuel Church (Holmesburg) and tagged Archives of the Diocese of Pennsylvania, Holmesburg, Northeast Philadelphia, Sydney Goodman on March 4, 2017 by mjk38. 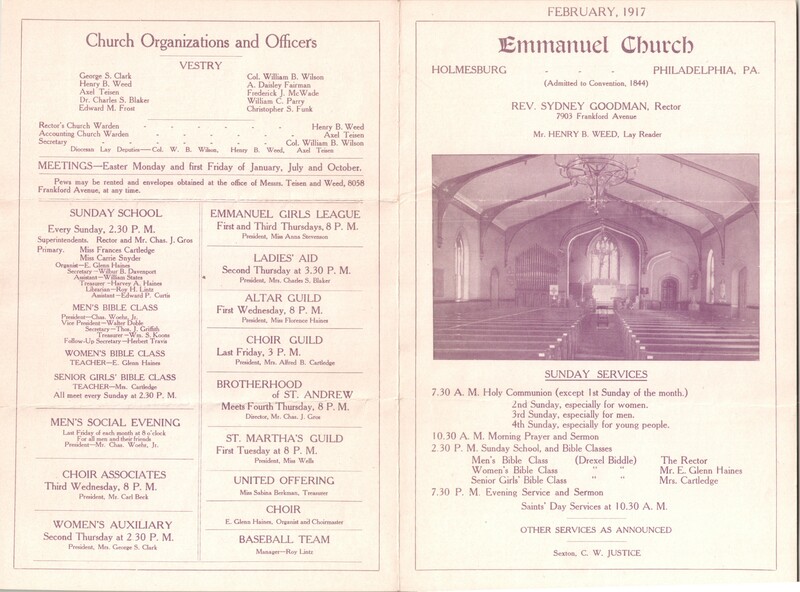 This entry was posted in Emmanuel Church (Holmesburg) and tagged Church News of the Diocese of Pennsylvania, Holmesburg, Northeast Philadelphia, Sydney Goodman, Waldemar Jansen Jr. on February 4, 2017 by mjk38.